Staff: Our friendly staff will be oh hand during your event. Assistance will be given to caterers, adjusting lights, etc. Catering: A licensed caterer may cater your function. They may use the kitchen at no charge. St. Clement Hall furnishes two coffee pots. All other utensils must be supplied by outside caterer. 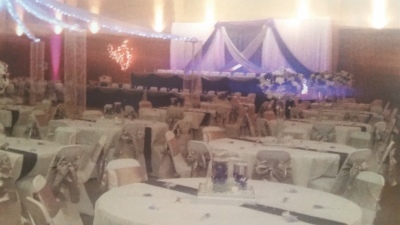 Tables: The hall can accommodate 450 people using 8' banquet tables and 400 people using 5' round tables. Either setup provides a large dance area. 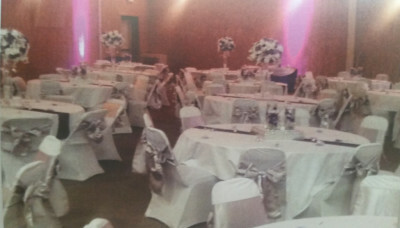 Linen table cloths are available to rent. Parking Lot: Ample parking facilities are located in front of St. Clement Hall (lot holds 500 cars). Access to the hall is easy and convenient for all guests (no steps). Air Conditioning: St. Clement Hall is equipped with air conditioning. Proper climate control temperature will be maintained to insure the comfort of your guests. 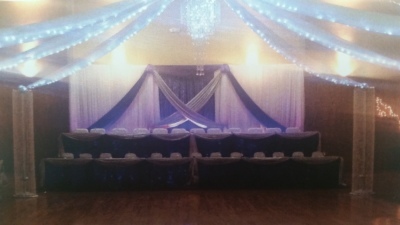 Set-Up & Clean-Up: St. Clement provides the hall set-up you request. After the event, St. Clement cleans and takes down the tables and chairs. Bar Facilities: A built-in bar - furnished with the most modern equipment including a built-in tab system for both beer and soda, ice bin, sink, and more. *Special Notice: No liqour or beer may be sold without proper license.